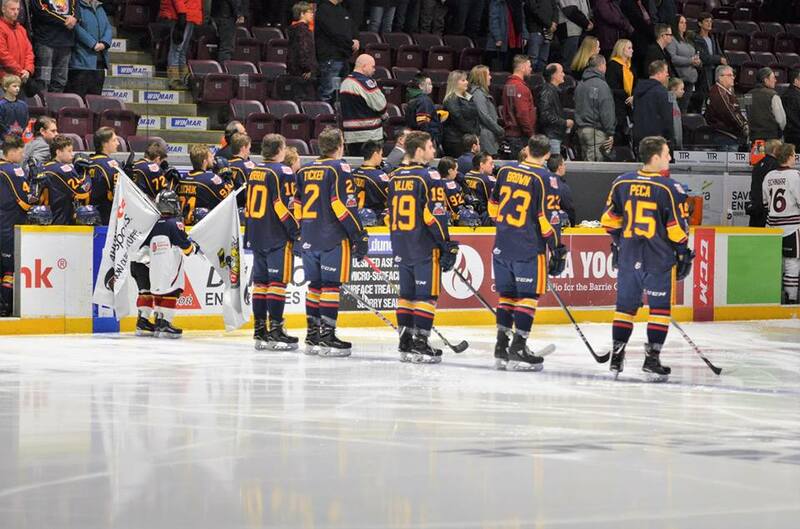 3 Reasons why the 2017-2018 Barrie Colts can win it all. #OHL - Very Barrie Colts | A website covering the Barrie Colts of the OHL. After a tough rebuild in 2016-17, many Colts fans could only dream of a turnaround like this season, and some even predicted the turnaround. After game 68 the Colts have put together a record of 42-21-4-1 good for 89 points, and their 3rd Central division championship in 4 years which adds up to a 48 point improvement over last season. This is all very impressive when you consider the team had to deal with what has to be a league leading amount of suspensions to key players, as well as star forward Andrei Svechnikov missing 24 games due to injury, World Juniors as well as the 5 nation’s tournament. Despite this the Colts may be seen as an underdog to head to Regina in May, and here’s 3 reasons why they are capable of winning it all. A strength of this year’s Colts team has to be the impressive young D core. They had their share of struggles last season, but it payed off big this season. The top pairing includes TJ Fergus and Joey Keane. Fergus is a smooth skating puck moving defenseman, that is also strong in his own end with tons of playoff experience including a OHL Championship in Erie last season. Colts fans can go on forever raving the play of Joey Keane this season. The exceptionally smooth skating defenseman rarely loses a puck battle in his own end and is extremely confident in moving the puck in his own zone or jumping into the play in the offensive zone. Keane finished 3rd in Plus/Minus in the OHL with a +45 rating. The second pair, or 1B as I like to call them includes Captain Justin Murray and the thrower of Tucker Bombs, Tyler Tucker. 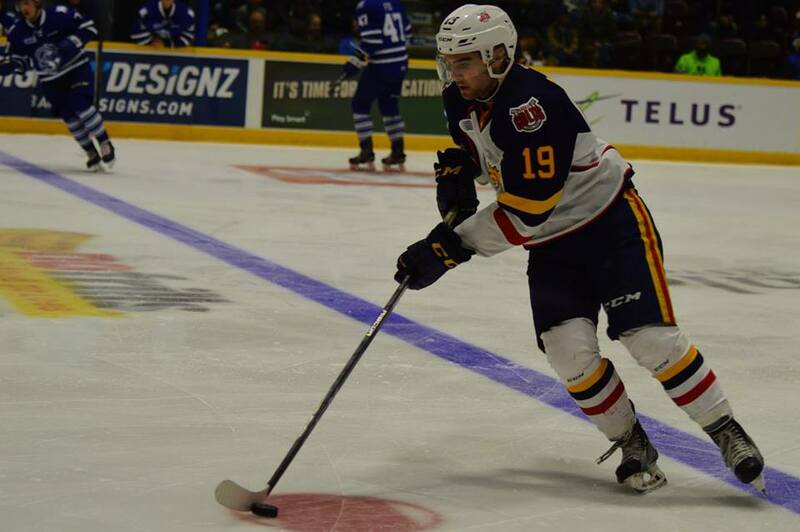 Murray, the Colts captain is the definition of reliability ever since entering the OHL in 2015, and has become a very good two way defenseman, and has shown this year a more offensive side and jumping into the rush more. Lots can be said about Tucker, a real strong shutdown defenseman that can also move the puck very effectively, and likes to throw huge hits as seen against top draft prospect Ryan Merkley. In a long best of 7 game series Tucker will wear down opponents quickly. 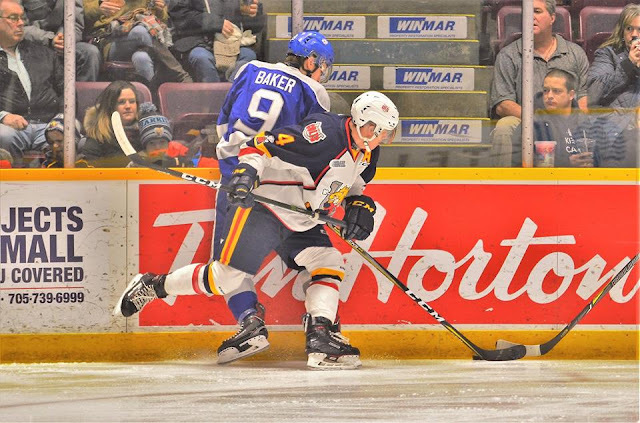 Rounding out the regular rotation is the pairing of Chris Cameron and Nathan Allensen is a pairing that Brock Otten called “one of the OHL's most dependable third pairings” and that’s exactly what they’ve been. Allensen a smooth skating two way defenseman with offensive upside and could very well quarterback the Colts power play in the not so distant future, and Cameron as a solid defensive defenseman that has really improved in his time as a Colt. Rookies Matthew Hill and Victor Hadfield have stepped in when called upon and have delivered. The Colts have had many impressive top lines, but this year may be the best yet. They include Andrei Svechnikov, Aaron Luchuk and Dmitry Sokolov. They combined for 140 goals this year, Svechnikov getting his 40 goals in only 44 games. Luchuk finished tied for first in goals in the OHL, the first time two teammates have done this in over 10 years. Svechnikov now holds the record for the Colts longest point streak in franchise history at 23 games. To put things mildly, they are just lethal. All season and in the playoffs teams have and will (Unsuccessfully) try to shut down the Colts top line. This makes the team’s depth up front all that much more important, and coach Dale Hawerchuk has found some line combinations that have really clicked and are producing at a very good rate starting with the Chiodo-Suzuki-Magwood line. First overall pick Ryan Suzuki has really flourished since being put with these two Colts veterans showcasing his elite passing and playmaking skills while also being responsible in his own end. Magwood, one of the fastest and skilled forwards on the team has added a physical edge to his game this year and possesses a pro shot that can beat goalies from anywhere. 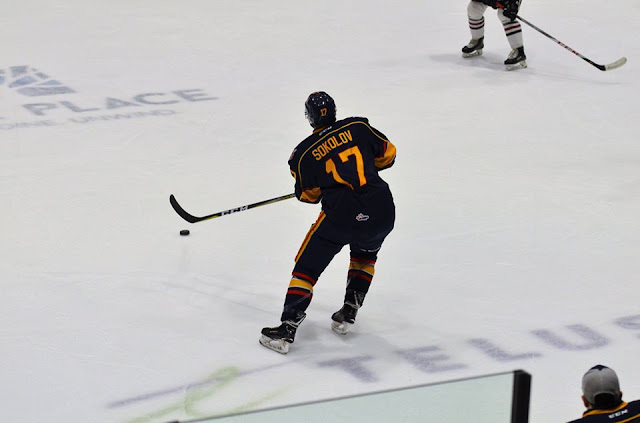 The extremely skilled Chiodo built off a strong season last year and put up very good offensive totals with 30 goals, 49 assists for 79 points. Not bad for a 15th round pick and he sure plays bigger than his 5’6 size. Next up is the Brown-Willms-Peca line, and Ben Hawerchuk has now filled in with Brown being out due to injury, which is unfortunate as he has played his best hockey down the stretch. This line you could call the shutdown line with as they’re hard to play against but can also score some goals, with Peca and Willms breakout years leading the way with 15 and 27 goals respectively. Can’t ignore the fourth line guys that may be needed to step up due to injury or become overtime heroes. Luke Bignell, Sam Rhodes and Kyle Heitzner all provide a ton of energy and have scored some timely goals this year while all being important parts of the PK, which will be very important in the playoffs. This couldn’t be more important now with Svechnikov out of the series for the first four games due to suspension. Lastly, the last line of defense. Lots of talk about Leo Lazarev and how his career in the OHL has been, but as a Colt he has shown up when needed and I wouldn’t expect any different in the playoffs. Leo has become a fan favorite here and deserves a long playoff run to conclude his OHL career. Rookie Kai Edmonds has also proven he has the ability to steal a game with his 48 save shutout performance against Owen Sound not long ago. Series starts tonight, March 22nd, and as you’ll all know by now Andrei Svechnikov will be out the first four games. Will be interesting to see how coach Hawerchuk shuffles the lines going into game 1. That makes number one in this list very important. It will also be important for the fans to be there and pack the BMC and make it a tough place to play.